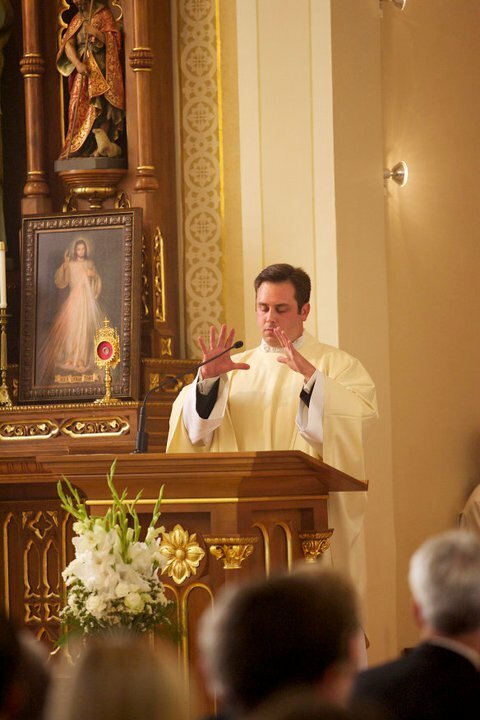 I will post each of my Sunday homilies on the blog from now on, so make sure you come back often and check them out! I am looking for a homily you did for mother’s day in either may 2014 or May 2015. Any chance you still have that??? Loved your message that day. Here is my homily from Mother’s Day 2015 – hope it’s what your looking for. You said a mass for my in-law’s 50th anniversary on July 2 and were just starting a series on the Love Languages. Can you share the series? I’m a big fan of the Love Languages. First of all I want to say great blog! I had a quick question that I’d like to ask if you don’t mind. I was interested to find out how you center yourself and clear your thoughts prior to writing. I’ve had a hard time clearing my thoughts in getting my thoughts out. I truly do enjoy writing however it just seems like the first 10 to 15 minutes are usually wasted simply just trying to figure out how to begin. Any suggestions or hints? Many thanks! 1. Have an icon of the Lord Jesus that I look at to recollect my self. 2. Breathe deeply for just a couple of seconds. 3. Say the pray, “Lord Jesus Christ, have mercy on me.” until I find myself recollected. After that – things seem to flow out. Editing remains the tough task.